Scottish Fold cats – also known as Coupari, Longhair Fold, and Highland Fold cats – are best known for their distinctive folded ears, which bend forward toward the head. This is technically a mutation that gives the cat an owl-like look. 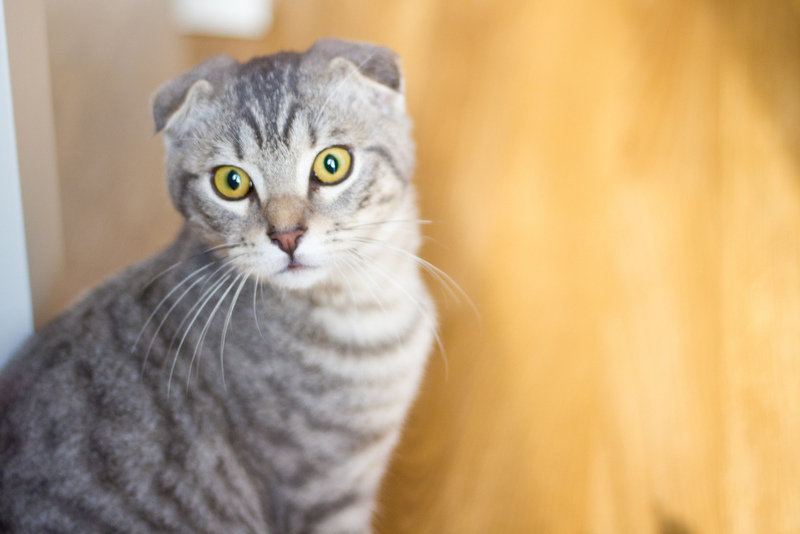 When Scottish Fold cats are bred with straight-eared breeds, there is a fifty percent chance the litter will have folded ears. This breed’s laid-back nature and mellow disposition make it a favorite among cat lovers. Thinking of buying a Scottish Fold and wondering about the expense? The cost to purchase a Scottish Fold kitten depends on the specific breeder, and a few other factors. Because Scottish Fold kittens have a variety of shapes, colors, and sizes, prices will differ depending on what kind of kitten you choose. Scottish Folds are quite rare, so you can expect to pay anywhere from $250 to as much as $1500. Many kittens can be found in the $250-$500 range. For a show quality kitten, expect to pay in excess of $1500. Shipping fees: If you’re purchasing a kitten out of state, you’ll need to factor in the cost of having the animal shipped to you. Many breeders use American airlines and Delta to ship their kittens. Shipping costs can run anywhere from $175 to $350. Supplies: At a minimum, you’ll need food, bowls, litter, toys, and crates. Fortunately, most of these items can be found cheap, but you’ll still need to figure in the extra money. Veterinary costs: You’ll need to think about the cost for your kitten’s first veterinary visit, which should be soon after he or she comes home. Lots of reputable breeders include insurance with their kittens, so it’s important to make sure your kitten has a clean medical record. You’ll also need to factor in the cost of regular check-up visits. A crate is usually included for those who are having their kitten shipped. Some breeders include spaying or neutering of the cat. Some breeders include a starter kit including food, toys, and other items. 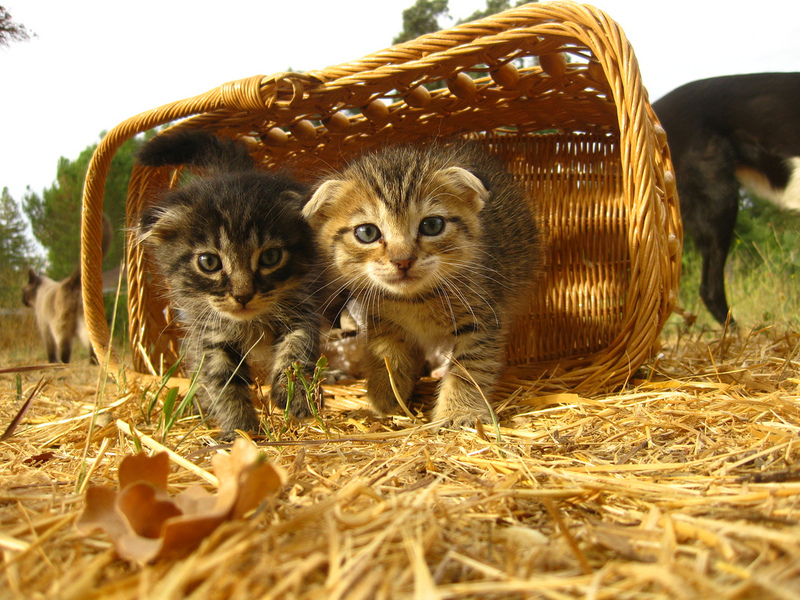 Most kittens will come with registration papers (if registered with an association) and their first shots completed. Many good breeders offer pet health insurance to protect your investment. If you notice any health issues with your kitten, you should request a full refund from the breeder. Try checking with your local animal shelter to see if they have any Scottish Folds. Animal adoption agencies usually take donations, and request no more than $100 for a kitten. Ask if your animal shelter offers referral discounts. You may be able to save money on a kitten by referring a friend or family member who also wants a kitten. Scottish fold cats are a unique and lovely breed that are sure to win the affection of your friends and family. Though they may be more expensive than other breeds, their rarity and beauty make them a worthwhile investment. With some patience and research, you should be able to find the perfect kitten to fit your lifestyle and your budget.